DanceForce is a rigorous, comprehensive training program for dance students (15+), professional aspirants, and early-career dancers. Programming includes classes in a variety of dance techniques, DanceWorks Chicago repertory, mentorship sessions, artistic coaching, specialty seminars, tell-it-like-it-is professional development sessions, and informal public showings in the Ruth Page Theater. Faculty features DWC Artistic Director Julie Nakagawa, Dance360 Program Director Sara Bibik, current and former DWC dancers, and MORE! 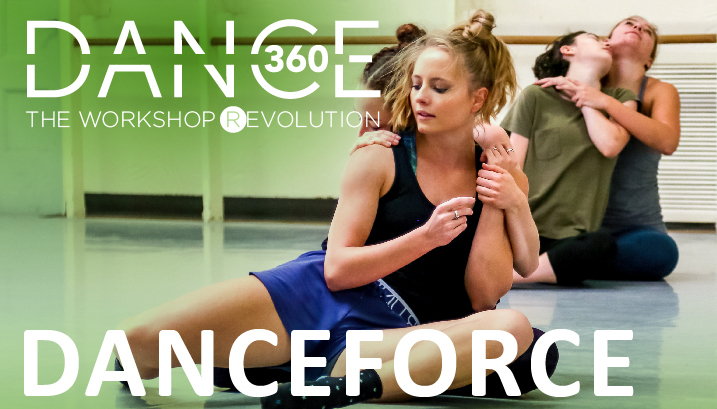 Dancers are invited to attend DanceForce via in-person or video audition. Auditioning in-person through DayLab is the best way to experience the Dance360 culture, meet DWC staff/dancers, and to have your questions answered. However, if you are unable to attend a DayLab, Team DWC is happy to offer a video audition option. Auditionees can select to be considered for DanceForce and/or ChoreoLab. January/February/March DayLab attendees: the application due date is Monday, April 1 with notification by Monday, April 8. April DayLab attendees: the application due date is Thursday, May 2 with notification by Monday, May 6. Scholarships require some financial commitment on the part of the dancer. Work-study positions have been filled. For more information, please contact Sara Bibik Dance360 Program Director.